A house for sale in Vancouver, B.C., Tues. June, 12. You've likely heard about the slowdown in the once-hot housing markets in Toronto and Vancouver, but what you may not know is that — unlike with many other aspects of the economy — virtually all the data about housing comes from the industry itself. The local monthly updates provided by real estate boards across the country, and the nationwide report from the Canadian Real Estate Association at mid-month, are behind just about any report you read in this country about home sales or prices. Now, in the face of a slowdown that's hitting realtors right in the pocketbook, we have word that maybe some of the data these realtors are providing may not be all that reliable. [A] newly built house at 296 N. Gamma Ave. in Burnaby's Capitol Hill was first listed on Oct. 13, 2016, at $2.599-million. The listing expired seven times and reappeared at a lower price until it sold this past January for $1,999,888. The listing agent boasted on his website that the house only took 89 days to sell at the asking price of $1,999,888. He made no mention on his website that the house had been listed and relisted several times, for more than a year, and had come down in price by $600,000. This practice distorts the data about the housing market. It makes it seem as if houses are selling quickly, when they're not. And it makes it seem as if houses aren't seeing price cuts, when they are. In other words, it's obscuring the reality of Vancouver's housing correction. "Because they are recycling listings, the data consistently paint a prettier picture," Mortgage Sandbox CEO David Stroud told the Globe. Equally problematic is the effect on homebuyers, who may have no idea how many times a home has been listed, and may easily be under the false impression that the home they are looking at is a fresh listing and will sell quickly. In other words, the data manipulation may well be pushing people to spend more on their homes than they otherwise would have. This couldn't happen, for example, in the U.S., where real estate listings sites offer far more information about a house for sale than do listing sites in Canada. For instance, on a U.S. site, you can typically find a history of the home's previous listings on the market, and the asking and selling prices. If someone pulls a house off the market and relists at a lower price, buyers will know that. But in Canada, real estate boards keep a tight lid on the information provided in home listings. Previous asking prices and previous listings are nowhere to be found. And they are fighting tooth and nail to keep it that way. The Toronto Real Estate Board has been embroiled for years in a battle with the Competition Bureau to keep exactly this kind of information off home listings sites. Simply put, they're trying to trick you into upping your bids. The industry defends these practices, arguing that publishing this kind of info would be a violation of home sellers' privacy — a weak argument at best. Houses listed on U.S. site Zillow come with a history of previous listings and asking prices. Canadian real estate boards have aggressively prevented listings sites from offering this sort of information. Vancouver realtor Aaron Best justified the lack of information in the Globe article like this: If a house sits on the market for long, "there tends to be a certain type of buyer who starts sniffing around, so they think maybe your client is desperate now or maybe there's something wrong with the property." In other words, you get offers from people trying to get a better deal on their home! How shocking! How outrageous! How DARE they? Let's stop and put this in context. According to recent data from Royal Bank of Canada, home ownership costs in Canada are now the highest they have been in nearly three decades. To finance this, Canadians have run up a near-record level of household debt, around $1.70 of debt for every dollar of disposable income, one of the highest consumer debt levels in the developed world. In the midst of this, realtors are busily working to make sure house prices stay high. But that should be expected — they earn a percentage of the sale price. The higher the house price, the more they make per house sold. What shouldn't be expected is that the same people who make money off higher house prices should also be the people reporting on the housing market. It's time for an impartial party to take on the task of collecting this data — and the obvious candidate is Statistics Canada. What Will Legal Weed Mean For Canada's Housing Market? StatCan already publishes a new house price index, but it's of limited use. It comes with a two-month delay, and while its apples-to-apples comparison of housing costs per square foot is useful, it tells us nothing about the overall conditions in the market. 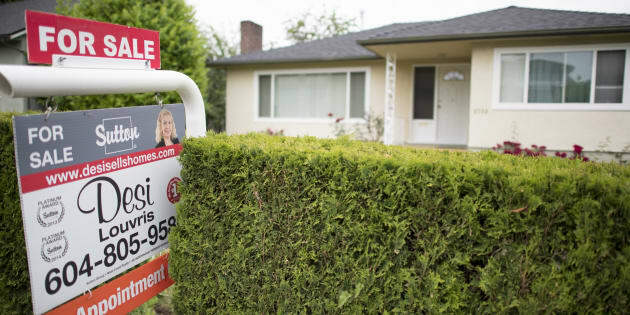 It's time for StatCan to take on all the other data as well — average selling prices, days on market, sales-to-listings ratios. After all, if the agency feels keeping tabs on marijuana prices is a national prerogative, home sales must surely also qualify. Realtors keep reminding us that a house is the single largest purchase or investment most of us will ever make. Shouldn't we have the best possible data with which to make that decision?